Pig out with Rhoda’s whole hog lunch. 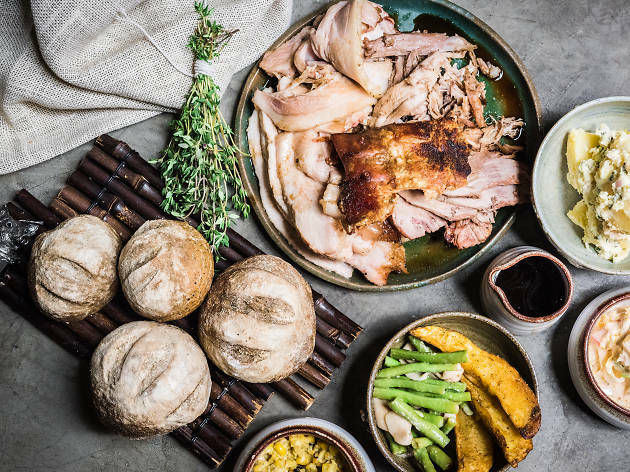 The all-you-can-eat spread ($320 per person) includes the eponymous whole roasted meaty star plus a host of hearty sides and dishes, such as potato salad, kimchi slaw and ginger biscuit trifle. An extra $238 gets you free-flow drinks and, since this whole hog lunch falls on father’s day, dads at the table can also enjoy a pint on the house.